The Locomotive Baseball field finally has a name, and it’s a one that is well deserved. On May 2, the field took on the name of Butch Stantz, one of the most successful coaches in the history of Montpelier Baseball. Gathering up 138 wins, 3 sectional titles, and 3 district titles in his thirteen years as Head Coach of the Locos, Stantz, who passed away over the previous Summer, certainly had the pedigree to become the field’s namesake. Coach Stantz did so much more to earn this honor, however. The current set up of the baseball and softball complex was partly his vision, and he played a vital role in getting the new layout completed. This remodel, taking place three or four years ago, included the removal of a second practice field, the revamping of the three remaining fields, and the construction of the complex’s press box. And the coach’s influence was vast in the area, as he had become synonymous with the very sports organization he directed. “When you thought of Montpelier Baseball, the first thing you thought of was Coach Stantz.” Admitted Brigle, himself a former player for Stantz. Actually, it was during Brigle’s early years under Coach Stantz that the field that would go on to carry the latter’s legacy first opened. “I was a sophomore, and started at short stop in that game.” Remembered Brigle. That game took place on April 9, 1991. The opponent was most likely Hilltop. “I’m 99% sure on that.” Brigle confirmed. While discussions had taken place between members of the Montpelier Board of Education to name the field after Stantz as early as a few years ago, his untimely passing expedited the process significantly. The decision was made that July. Weather delays delayed the initial plans to christen the field on opening day. The ceremony got pushed back all the way to May 2, which worked out exceptionally well, oddly enough. A small miracle in and of itself, several members of Stantz family were able to attend the game, despite most of them spreading out well beyond the Montpelier area. Also, the opponent for the game was North Central, whose own Athletic Director, Kent Hutchison, is Stantz’s nephew. This development was particularly fitting as the contest was a make-up game in the first place. “That game never existed.” Referred Brigle to its place on the schedule. 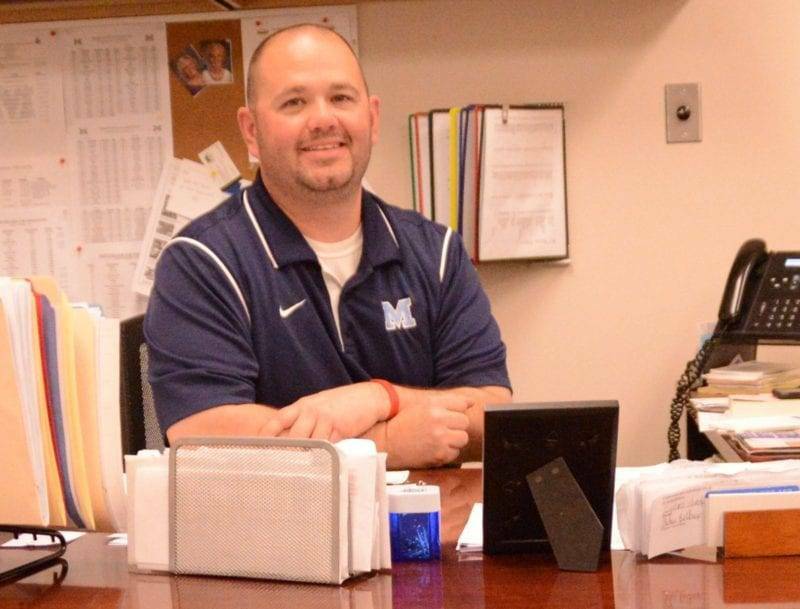 While it’s the athletic department honoring him at the moment, Stantz was also a well regarded teacher in the Montpelier School System as well. Teaching fifth grade for seventeen years, he took pride in the success of his students. Whether it be in the classroom or on the baseball field, it was his character that stuck out most to those who interacted with him. “When you hear people talk about him, it’s always class.” Brigle relayed. Now that’s the kind of person someone ought to name a field after. Be the first to comment on "Montpelier Baseball Field Dedicated To Coach Stantz"